I’ve been wanting to read this book since I bought it years ago and it took multiple challenges before I finally managed to make my way through. It was definitely an interesting read and I enjoyed the various stories within. 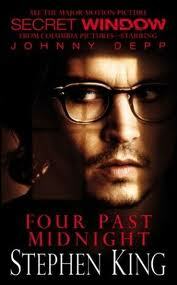 Secret Window was probably still my favorite because I was familiar with the story from watching the movie – just a completely different ending. Some of the other stories were very strange and what I would expect from King. At lease one other was made into a movie, which could be interesting to check out.